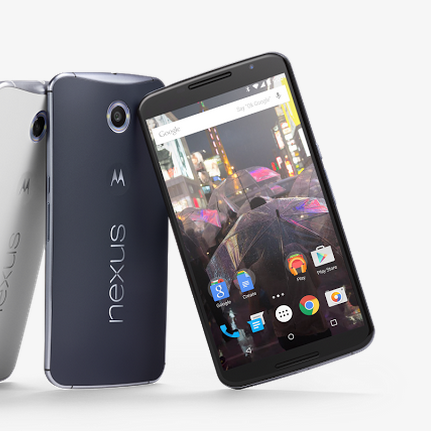 Google took the somewhat unprecedented step of lowering the price of the Nexus 6 in the Google Store earlier today. It rarely put things on sale when hardware was in the Play Store. Now Amazon has followed suit and matched the new price. The company is now asking $499.99 for the 32GB Nexus 6 and $549 for the 64GB. All variants of the device are included, so you can pick either white or blue with either storage configuration at this new price. Because this is Amazon, there's Prime shipping available. That's going to be much faster than the Google Store unless you pay almost $20 extra. We don't know if Google's sale (and therefore Amazon's) is a temporary deal, but that's what it sounds like. Still, if Google is going to push Project Fi, it makes sense to sell the phone a little cheaper. 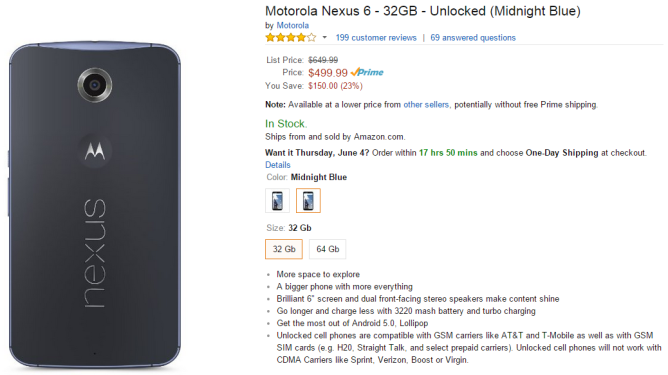 Feel free to order up a Nexus from Amazon if you want to save a few bucks.